Andrea's World Reviews: About Time Review & GIVEAWAY!! As you know, this year for me has been all about starting a whole new healthy lifestyle. While I focused specifically on dieting for awhile, I have completely transformed the way I eat. Not only do I focus on maintaining my weight, I also look for foods that supply the nutrition my body needs to stay healthy. One thing I love for both my health and my waistline is protein. It is filling and metabolism boosting. Man foods that are high in protein are also high in fat(like nuts), and even though it is a healthy fat, it is not always something I want to accumulate, so I love finding delicious, filling and "slim" ways so get more protein. One line of products that I recently discovered is perfect. 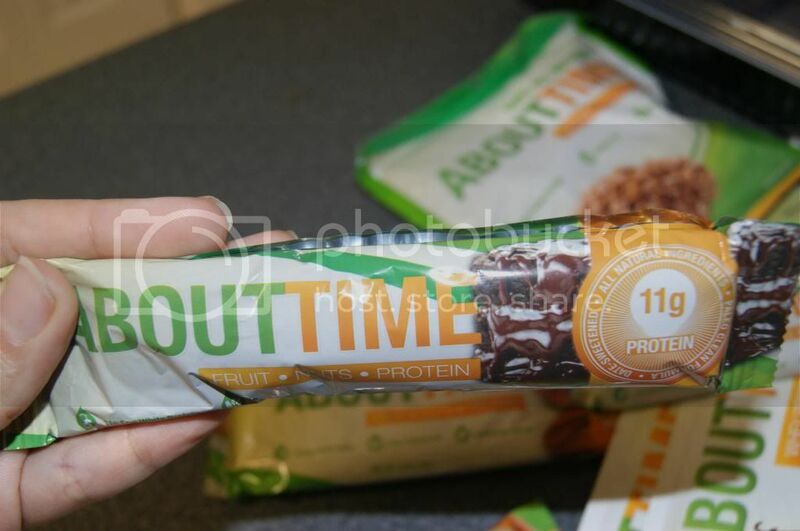 About Time has Protein shake powders, protein bars, and even protein granola clusters. Everything tastes fabulous, and it is so convenient. I love the Fill, Shake and Go shakes. You just add the liquid of your choice(water, milk, etc), shake it up and enjoy. I used a cashew, almond and hazelnut milk, and it was divine. The Cinnamon Swirl flavor is so delicious. 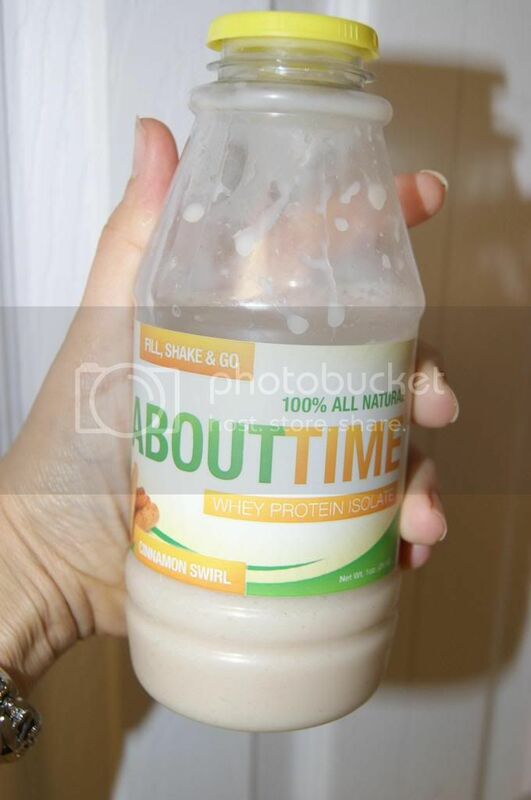 It does not think like the typical protein shake. 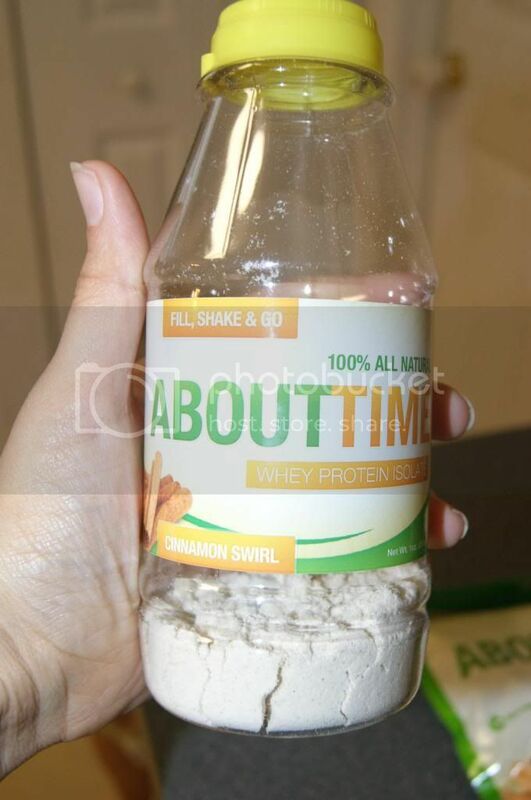 It is filling too and the mix has only 100 calories, so if you were to use water it will be really low cal, but even with 8o of my nut milk it was only 170. Since I was not hungry, it helped keep me from snacking, which actually saved me calories. The Single Serving Packs are just as wonderful. I tried 3 flavors(Chocolate, Vanilla and Birthday Cake). These are the same as the Fill, Shake and Go, except for the bottle. The Birthday Cake was my favorite, but they are all yummy. 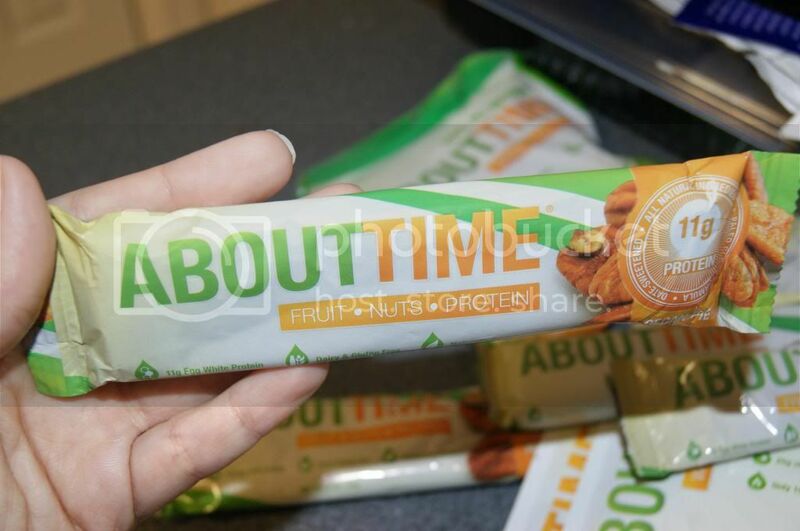 These packets are perfect for carrying in your car or purse to bust cravings at work or on the go. 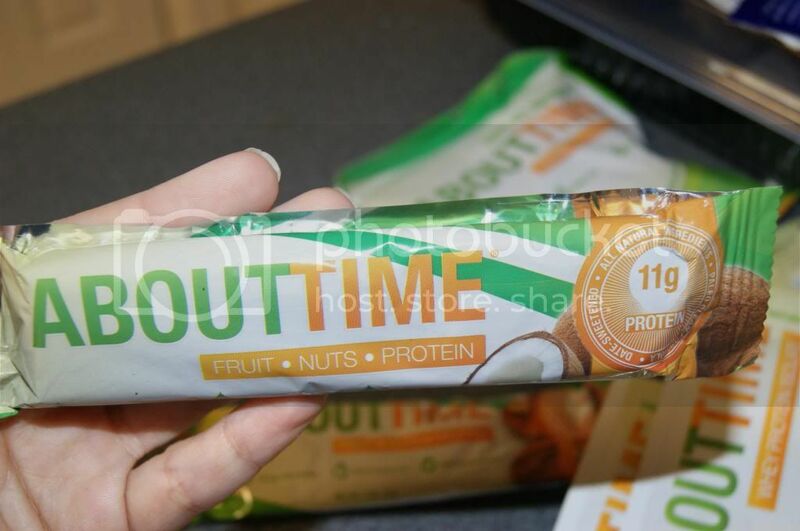 If you want something that is solid instead of a shake, About Time has you covered there too with their awesome Fruit, Nut and Protein Bars. I tried all 3 flavors(Chocolate Brownie, Pecan Pie and Island Coconut), and they are all wonderful. The Pecan Pie and Island Coconut are my favorites since I am not as fond of chocolate bars(except for actual milk chocolate), but the Chocolate Brownie bars are great too. These are a very good size and are super filling. These make a great quick lunch or snack, even a breakfast. They are delish. If you want a more traditional breakfast replacement, then the Granola Clusters are perfect. These taste wonderful. They are more of a chewy cluster than a really crunchy one, and that makes them really unique. 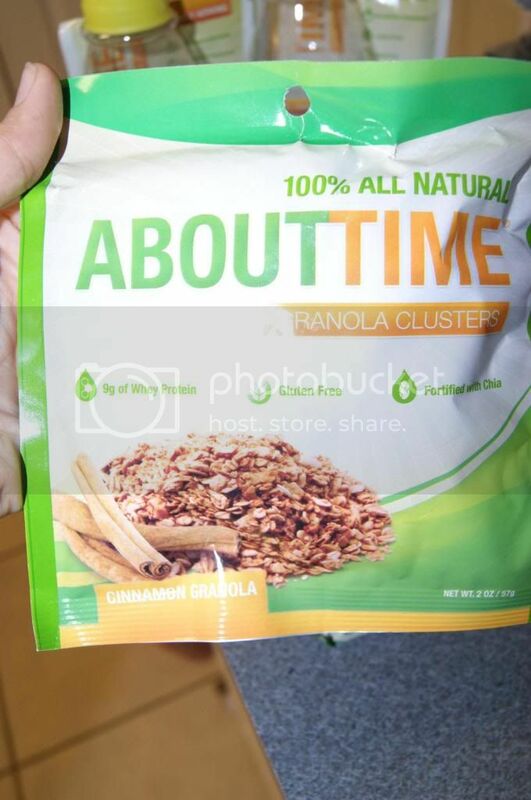 They are better/easier to eat plain(without milk as a cereal) than many granola clusters are. I love the individual pouches, and the serving size is quite fair. They are also very filling. All of these products are great. 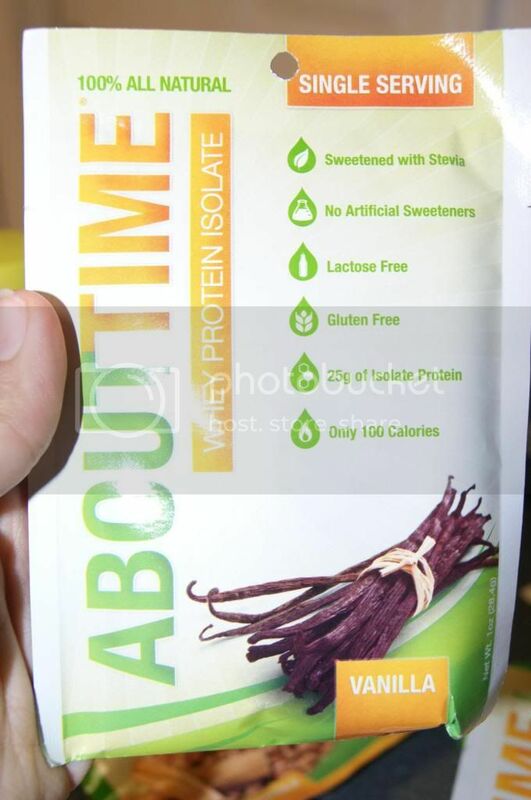 Not only do they taste fantastic and keep the fat/calories at bay, they also pack a protein punch. They have other nutrients as well, and they are all Gluten-Free. I love having a delicious and convention go-to snack that is easy on my waistline. 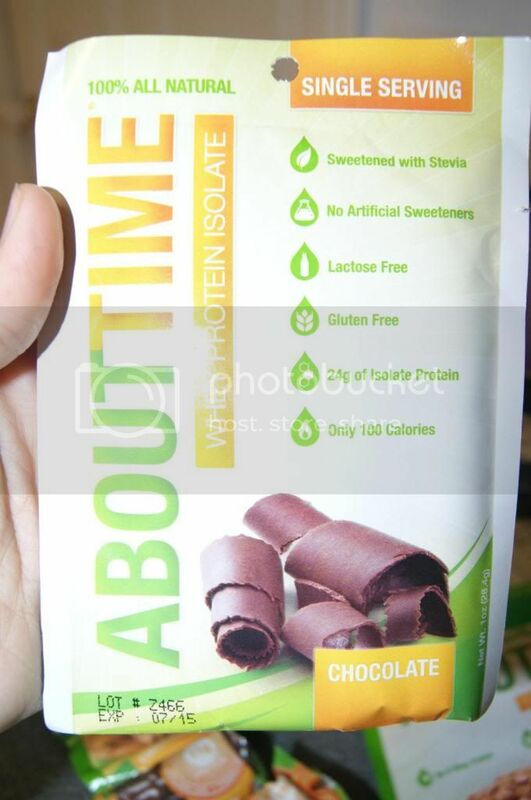 If you are looking for extra protein or just yummy, filling low calorie snacks, then About Time is perfect for you. 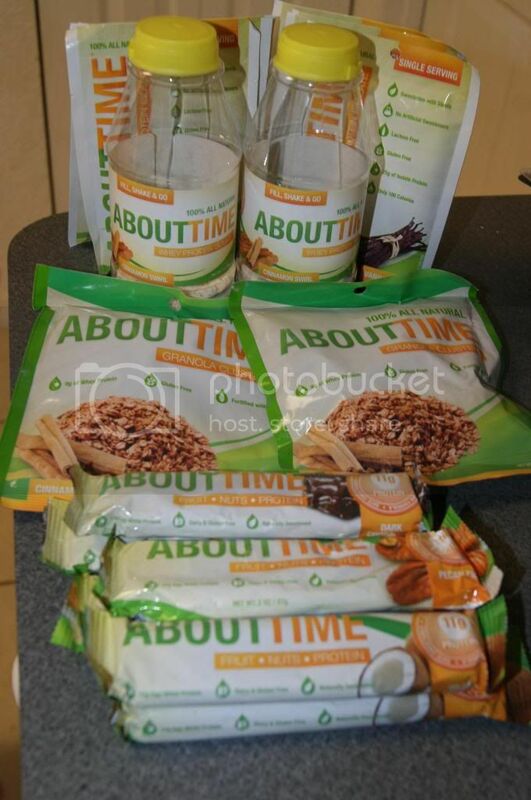 Two of you will get the chance to find out how amazing About Time products are first hand. One winner will receive a 2lb unit of Whey Protein Isolate and one winner will receive a Box of Fruit, Nut and Protein Bars. 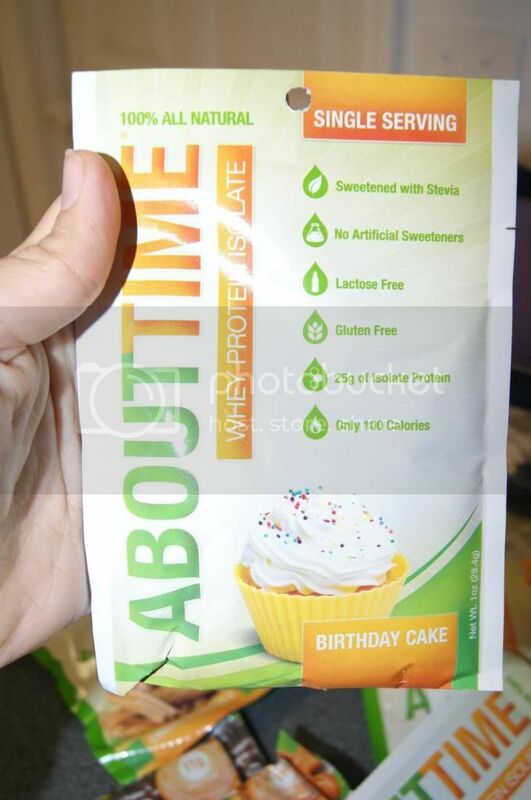 I would love to try the birthday protein powder! Chocolate Brownie bars for sure!